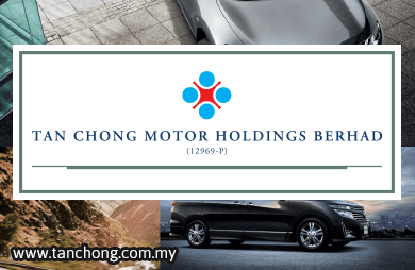 KUALA LUMPUR (Aug 28): Tan Chong Motor Holdings Bhd’s net profit fell 74% to RM14.16 million in the second quarter ended June 30, 2015 from RM53.84 million a year ago, on higher completely knocked down (CKD) kits cost arising from unfavourable foreign exchange rate. However, its quarterly revenue grew 16.2% to RM1.263 billion from RM1.088 billion, largely due on higher revenue from its vehicles assembly, manufacturing, distribution and after sale services segment. For the six months ended June 30, 2015, net profit fell 57.5% to RM40.51 million from RM95.32 million in the previous corresponding quarter. Revenue for the six months rose 20.7% to RM2.833 billion from RM2.348 billion. Despite lower earnings, Tan Chong announced an interim single tier dividend of 4%, or two sen per share, bringing the total dividend declared so far to 10%, or five sen per share. “The competitive business environment driven by sales promotion activities coupled with unfavourable foreign exchange rates has affected the bottom-line. “It was also due to a one-off write back of Nissan Vietnam Co., Ltd. provision for additional import duty of RM56.27 million (equivalent to US$16.98 million) in first half of 2014,” it said. “The automotive industry has seen a weakening demand in new vehicle sales following GST implementation and concerns over domestic and global economic uncertainties,” said Tan Chong. It noted that the continued weakening of the ringgit against the US dollar is an imported cost push inflation for all importers paying for imported parts denominated in US dollar. “Despite this market condition, we will continue to focus on driving sales with innovative marketing strategies and improving services delivery to our loyal customers by focusing on after sales and other ancillary support services,” said the group. Tan Chong added that the group is cautious and vigilant to cut capital spending and operating expenditures and will continue to focus on cost mitigation and efficiency improvement activities. Tan Chong closed one sen or 0.39% higher at RM2.55, giving it a market capitalisation of RM1.658 billion.